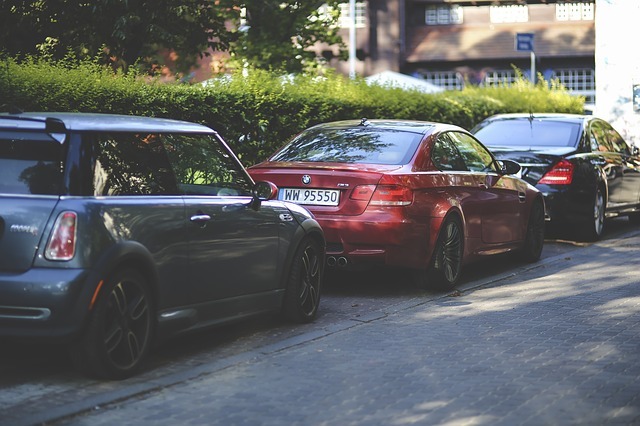 Few things intimidate novice drivers like the thought of parallel parking, which is one of the reasons why it’s a heavily-covered topic during Driver's Education classes. Denver is a city where it is vital to know how to do this well. While you’ll never learn to parallel park without a lot of practice and a blog is certainly no substitute to practical knowledge, using this to start visualizing the concept will be quite helpful. If you think the space is too small to fit your vehicle, don’t park there. Find a space that you can safely fit your vehicle into without touching the other cars or the curb. Before you stop and prepare to back up into the space, be sure to check your driver-side mirror to make sure that there aren’t any other cars behind you. As you approach the spot begin signaling and slow down, then stop as you get near. If a driver behind you begins tailgating you, simply stay in your position and keep your signal blinking. If they don’t move, try rolling down your window and waving them around, as they may not realize your intention to park. Line your car up right next to the intended spot about two to three feet away from the other parks cars on the street. Move up and position your car parallel to the car parked in front of your desired space and get ready to reverse. Check your driver-side mirror again before starting to reverse, then if the way is clear behind you, look over your right shoulder and assess the gap of space available to you. Turn the steering wheel a hard right and begin executing what is known as an “S-turn”. Very slowly, take your foot off of the brake pedal and allow your car to start turning backward into the spot. It’s important to keep visually checking around the front and back of your vehicle often as you parallel park to make sure that you are far enough away from the rear bumper of the car in front of you as you slide into the space. If your back tire hits the curb you’ve gone too far; just shift gears into Drive and pull forward a little to give yourself more space. Once you’ve backed up most of the rear of your car into the space, turn your steering wheel to the left while still moving backward. This is the last portion of the “S-turn” and is the time when your vehicle should snake its way into the space and begin to straighten out. Continue to reverse as far back as you can without touching the car behind you. Once your car is safely in the space shift back into Drive and move forward gently to straighten yourself out. Ideally, you want to be flush with the other cars on the street. Still worried you don't have parallel parking mastered? Watch the video below to see the above steps in action! If you’re still feeling nervous about parallel parking, that’s okay, just sign up for driving school in Littleton and let Western Slope Driving Institute help you feel more confident behind the wheel.